Last summer, during the holidays, I didn’t want to stop practicing Bikram, so I made the commitment to myself to get up at 6am to get to the studio to practice three times a week. I am not a morning person. It was hard and sometimes the only way I got there on time was to go to bed in my leggings ready to run out the door. Don’t tell anyone! True flexibility requires tremendous strength. Now I can be quite a flexible girl. In the right heat when it’s all feeling good and juicy I can put my feet on my head in cobra pose which amazes me. So imagine my surprise when I found out that at 6am, my body was super stiff and I found it difficult to do any of the standing poses I thought I had gotten halfway decent at during the previous two and a half years. It was then that I had the revelation that true flexibility requires tremendous strength. I have short arms, not like a T-Rex, but nonetheless my hands do not reach the floor in toe stand and I cannot fully bend over and hold my foot in standing head to knee pose. I don’t have enough arm length, something I came to realise on those early mornings. I had no choice but to use my leg strength to get my foot into my hand. And then in standing pulling bow pose, I was using my arm to pull my leg up but on a morning when my arm couldn’t stretch, I had to kick up with my leg. I had been using flexibility, not strength. This made me see that I wanted to be strong and flexible enough to adapt both mentally and physically in any situation. So, if I couldn’t practice at my favourite time, in my favourite spot, with my body feeling just right, I would be ok with that. I realised that I want to do what I can, where I am. It is called a yoga practice for that reason and I realised that yoga is not separate from the rest of my life. I am me on and off the mat. All my life I have believed that yoga will get me somewhere, like I will become the better more acceptable version of me. I will be a teetotal, vegan yogi who thinks only good thoughts. I will be tall and skinny with long arms and I won’t grow old. This is not only unrealistic. It is nuts. Life throws up all sorts of challenges and the way that you look doesn’t always help and there’s only one alternative to ageing. But, even though I have written loads about social psychology and women in society, I still think that if only I could be thinner and younger (I guess in reality sexier – but I have a theory about that) I could be more acceptable to me. Moreover, I have heard all the stories of yogis like Bikram Choudhury who sexually abused his students and yet has created the best sequence of yoga I have continually and consistently ever experienced. And B K S Iyengar who would spit at and hit his students, and yet he wrote Light on Life full of wisdom and peace. I guess they were both aspiring to be their best versions when creating sequences and writing and then they turned back into themselves in the yoga room. On the mat I am the same so I get the same thoughts and fears as I do when I am off it. The clever thing about Bikram though is, because of the heat and the fact I listen to a dialogue of instructions, I am distracted from my daily thoughts and all my energies go into breathing and doing what I am told and then if there is any energy left to think about something not in the room then that is a dominant thought pattern that my mind keeps returning to, and the only thing is to let it go. And then, once you get used to the dialogue it then takes great mental strength to keep listening, to be attentive, to follow every word and great flexibility to hear the dialogue as if it is new when you have heard it 1,000 times already. After a discussion on Friday with one lovely teacher, today in class, I listened really hard in standing pulling bow pose and instead of just bringing my arm down, I brought my whole body forward and down, which meant I had to kick my leg up higher to retain my balance and there was a small shift inside and a new discovery and I felt a massive stretch all down my standing leg which meant that my kicking leg kicked higher than ever before. Flexibility and strength working together. But back to last summer on the mat at 6am, when I was beginning to understand the balance of flexibility and strength, I found that more than ever I needed to do that off the mat too. Because it was early morning I took the car to Bikram rather than walking the 10,000 steps. And, because my mother had died a couple of months earlier I was exhausted from grief and began comfort eating. Consequently, I gained a lot of weight but kept thinking: How is that possible? I do Bikram. 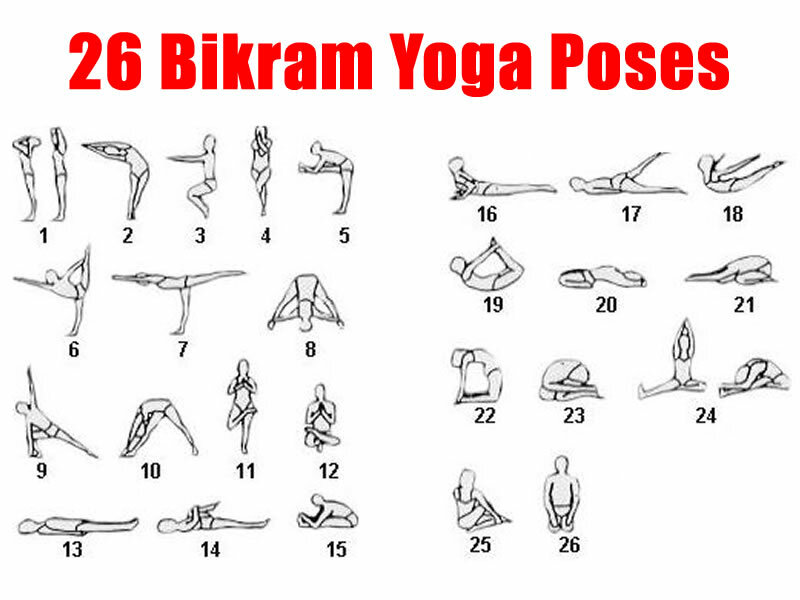 But Bikram as good as it is, is not a cure for everything. It was towards the end of summer when I was getting really strong and chubby – I think I gained an extra 10lbs which is a lot for my five foot frame. I mentioned it to a yoga pal one morning who said: Oh yes you used to look so great. I was relieved by her honesty as I could tell when I bent over to pick up my foot that I had a couple of spare tyres in the way and I really thought I was going to split my yoga pants. And, from that I learnt again that it takes tremendous strength to look at yourself honestly and see what is going on and to be honest with others. There is no such thing as a free lunch, or cookie-fest, or an easy way to share difficult news. And I can tell you it takes tremendous flexibility to love the new chubby version of yourself in the mirror. That said, I know I am the same chubby or normal weight. I prefer being slimmer as all my clothes fit better and I hate shopping. However, I won’t miraculously turn into a different person if I lose the extra weight. I will still be me, chubby or slim, on or off the mat. I am me, and I am me, and I am me. When the summer ended and school started again I was able to practice again at 10 am. I noticed that I was stronger than before but bendy once more and it took a bit of adapting to not overbend because it is no good being flexible without strength. And, this is the same off the mat, if I am too flexible without knowing my limits and without respecting my boundaries, I could seriously damage myself or worse still allow someone else to damage me. Lately, I have been practising Bikram three to four times a week, as life does tend to get in the way of a dedicated practice, but I have made my peace with that. Everything in moderation, including Bikram. My own experience is that three times a week is enough for a maintenance level, five times a week changes my body. I will never be a teetotal vegan either, I would be miserable. I like red wine and steak and beer and chips but I can do those things in moderation too. There’s no need to behave like Henry VIII. I am still carrying some chub, and that is ok, but now that spring is coming, I am thinking that I am ready to do a 30 day challenge, and whilst part of me is excited thinking: Oooooh that would definitely shift the chub, part of me feels quite scared of committing to 30 days of straight up yoga and feeling super duper knackered. Or worse still, not following through. I guess I just have to take my own advice and know whether I do it or not, and whether I can or cannot finish it, to be truly flexible I must be strong enough to do what is right for me and the life I have. I will still be me, chubby or slim, meeting 30 day challenges or not, and some days I am my best version and some day I am not, I am me and I am enough and that is the gift Bikram yoga has given me over the past three years. It has brought me home to myself and allowed me to learn how to love and appreciate the fine body in which I dwell.